For the first time, TiVo users can stream their DVR content to a third-party TV box, though it's far from being an ideal solution. TiVo has turned on AirPlay mirroring support in its iOS app, letting some users watch their DVR content on an Apple TV. This is actually the first time TiVo has supported streaming DVR shows to a third-party TV set-top box. Previously, users needed a $150 TiVo Mini to watch their recordings on additional televisions beyond the one where the TiVo is set up. For iPhone owners, Apple TV is a much cheaper solution at $69. Still, TiVo’s reliance on AirPlay mirroring isn’t ideal. With mirroring, the iOS device simply duplicates its display on the big screen. That means users cannot exit the app while watching TiVo recordings, and may want to plug in the iOS device to avoid battery drain. Apple does offer a better method, in which the iOS device streams the video content to Apple TV in the background, but apparently TiVo isn’t taking advantage of this feature. 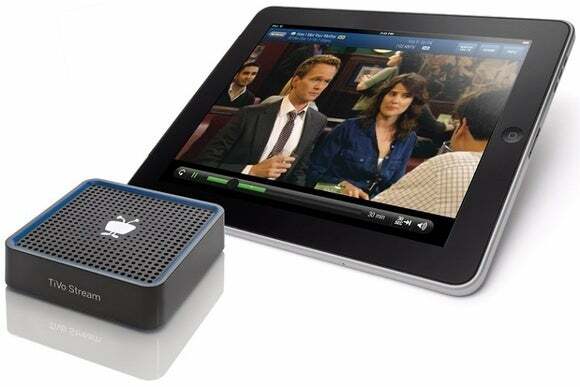 There’s also another catch: To get TiVo recordings onto an iPhone or iPad in the first place, you either need the $130 TiVo Stream add-on or a high-end TiVo Roamio Plus ($400) or Roamio Pro ($600) DVR, which have the streaming capabilities built-in. If you do meet all the requirements, you can enable AirPlay mirroring by swiping up in iOS to view the Control Center, hitting the AirPlay button, select ingthe Apple TV and then enabling Mirroring. Then, just open the TiVo app and choose what you want to watch. Why this matters: In the long run, we’re hoping TiVo comes up with a better solution that doesn’t involve such a convoluted hardware setup. But for now, if you’re fully invested in both the Apple and TiVo ecosystems, AirPlay mirroring support is better than nothing.